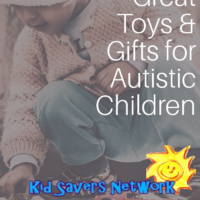 Christmas is coming and for those who have a child with autism in the family, it can be hard to choose the best toy. It turns out that nobody knows better than a parent of a child with autism. 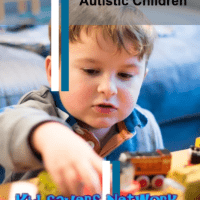 In order to find out which toys make the best gifts for a child with autism, an organization called MyAutismTeam recently surveyed 14,000 of its members ─ who are all parents of children with autism. 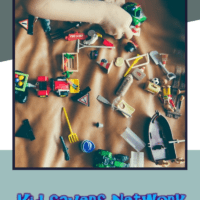 Here are the results of the survey for the best toys and gifts – chosen by the parents themselves! According to a large number parents, Apple’s iPad came in as the first choice as the best toy for an autistic child. iPad apps and games help an autistic child to communicate and to learn ─ both things that they can typically struggle with. The touch screen offers a sensory experience which holds the attention of many children with autism, often keeping them involved for hours. They’re great if you have to travel with your autistic child. They’re also useful if they accompany you to your other children’s activities. From high-tech to low-tech, Lego came in second! 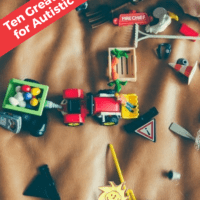 The bright colors and tactile experience of building with Lego are a big attraction for kids with autism.They can use the blocks to express themselves in creative ways while building whatever they can imagine. Lego can lead to hours of mental engagement for an autistic child. As children get older, Lego Building Sets take it a step up with added instructions to create and build a unique design. Overall, Legos can offer hours of fun and creative building experiences! 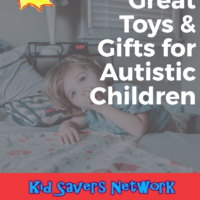 Gifts that appeal to the senses, such as stuffed animals or toys that light up or move appeal to children with autism. This is because autistic kids are sensitive to touch, lights, and sounds. Stuffed animals are soft to the touch while other toys such as remote controlled toys can offer movement, light and sound stimulation. Gift cards are a popular gift for children of autism because the child can pick out what appeals to them. 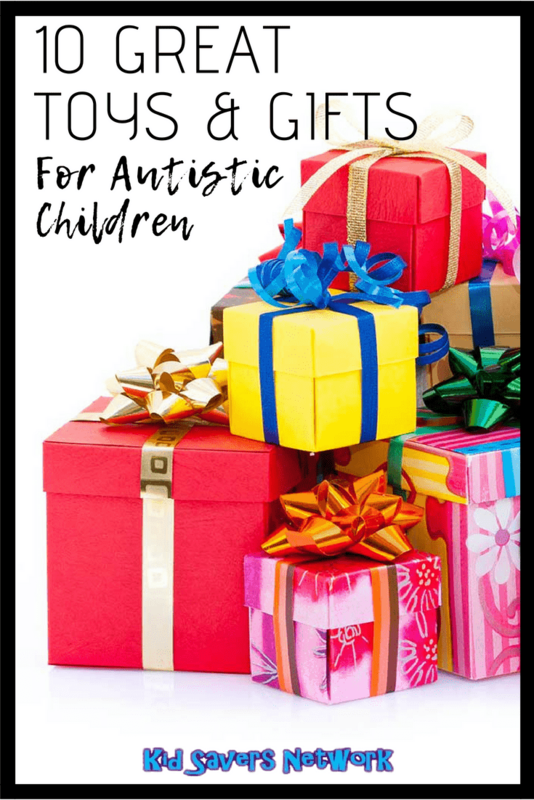 According to lots of parents of children with autism, it can be hard finding the right, individual gift. Autistic children often go through phases, so giving a gift card gives the gift of flexibility! Video games are shown to engage a child with autism by helping them to learn self-confidence as well as other skills such as hand-eye coordination. Many parents report that their autistic child enjoys video games so much that they usually have several kinds and even bring a hand-held along on trips. Video games also enable other family members to participate by playing along. This helps the autistic child interact with others, which is of particular importance for those with siblings. Video games can contribute to forming a bond with other family members. Puzzles are a favorite pastime for kids with autism. Interlocking pieces offer stimulating, tactile actions. Furthermore, autistic children enjoy watching the puzzle progress into an actual picture. Many kids with autism enjoy puzzles so much that they will complete one in each sitting. Autistic children enjoy many aspects of children books such as rhythms and repetitions. Parents report that their child’s ability to memorize detail is amazing, so books are a great learning tool for autistic kids. For younger children, look for books with repetitive rhymes such as Dr. Suess books. Older kids will usually gravitate towards a particular interest, such as history or science so that they will enjoy stories detailed in these subjects. Autistic children tend to learn more from visually stimulating methods. This can include touch and sound stimulation as well. Favorite brands like Leapster and Leap Pad can help kids with autism to learn, maybe even better than traditional school settings. According to parents, interactive educational toys, games or DVDs not only help their child to learn but also keep them engaged for extended periods of time. 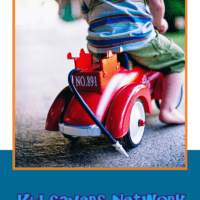 After further research on the subject, Kidsaversnetwork can add a couple of more gift ideas to the list. Photography is a popular past-time activity for autistic children. They love being able to share how they see the world and their parents love the clarity and direction it provides. 10-year-old Morgan Wolfers from Colorado started taking photos on walks with his parents. His prints were that good, National Geographic selected one of his photos to be displayed in VP Joe Biden’s house! These days there’s many devices that can help get autistic kids into photography. For younger children, check out the Vtech Kidizoom. It’s an excellent first camera for budding photographers. Izzy Paskowitz is a professional surfer and father of an autistic child. Along with his with he, founded “Surfers Healing” in 1996. Izzy found that surfing helped calm their child like nothing else. He began taking other autistic children out in the surf and found it had a therapeutic effect on them. Surfers Healing now offers free surf camps nationwide. If you can’t make them (or it’s just too cold) taking an autistic child to the local pool could be great preparation. Anything water related such as a personal flotation device (PFD), kickboard even a bodyboard would make a great gift. We hope our list has given you some great gift ideas and will help make somebody’s day! Don’t forget, experiences together are always better than gifts. Simple traditions such as decorating the house, watching holiday movies and taking a walk around town to look at Christmas lights can also be very appealing to children with autism during the holiday season!